This is a statement piece. 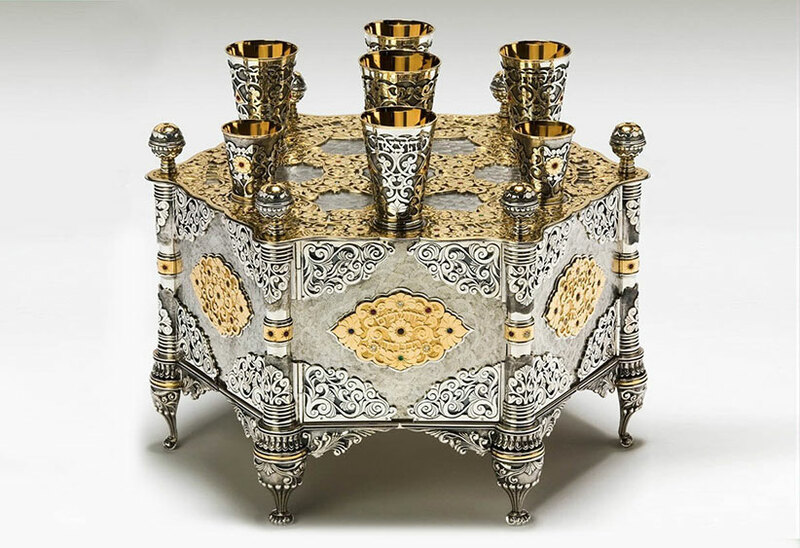 This stunning creation contains all the elements for the Pesach Seder: 4 cups of wine, the center cup for Eliyahu, and two small cups to pour out wine during the recitation of the ten plagues. 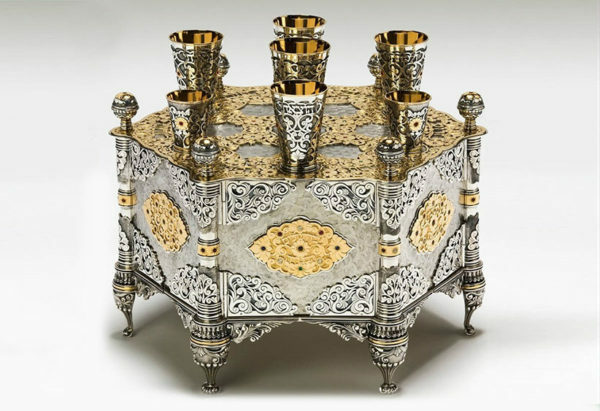 The Keara is made of fine silver with gold, ruby, and emerald elements.